Free VPN are providing us an excellent service at zero cost. Usually, they are limited in some way, but they are worth using. Some of the Free VPN services are reported to be stealing and selling data of customers, and we discourage such services. In this feature, we have highlighted some of the most reliable and secure free VPN services that have lesser downsides. All these services listed below will help achieve greater privacy and security for your daily activities on internet. While making a choice of your best vpn, remember they all have few restrictions, and we will be discussing more on VPN services. All the services do not have equal offers, and you need to try and decide the one that’s best suited for yours. 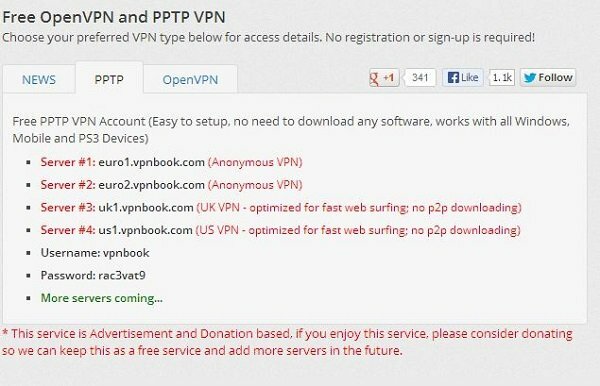 So, if you wallet doesn’t allow to be buying a paid VPN, then we highly recommend using the services from the list below. VPNBook is free, with no bandwidth caps or service limitations. You need to sign, in this way no one can know your geographic location. VPNBook is obtrusive. 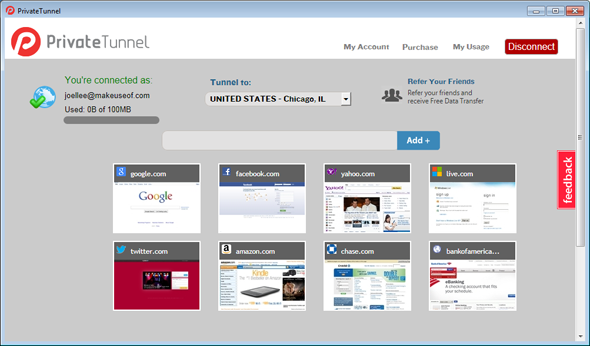 It has built-in PPTP VPN client built into the Mac OS X, Windows, and Linux operating systems. SurfEasy is a Canadian firm that aims to bring security and privacy to masses. Therefore, they provide a free VPN service along with their paid plans. 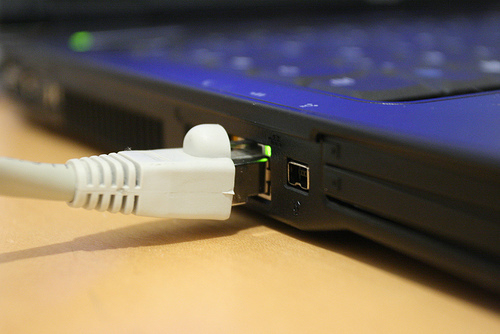 With good speed and easy to use clients they allow five simultaneous connections. By disabling P2P for enhancing security they have allowed data of 500MB limit that can be increased with few tasks. HotSpot Shield is a commonly used VPN service, and it has good performance but the free version has plenty o sponsored advertisement. It protects against malware and improves your privacy. It has 6.40Mbps download with 9 ms latency. 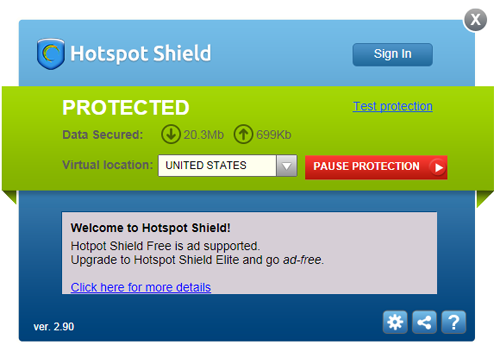 HotSpot Shield is supported by Mac, iOS, Windows, and Android. Open VPN’s Shield Exchange allows you to establish a safe and secure connection to the Internet.It helps to create a private tunnel between the machine and OpenVPN’s servers. Easy to configure and saves your online data traffic with SSL and encryption. 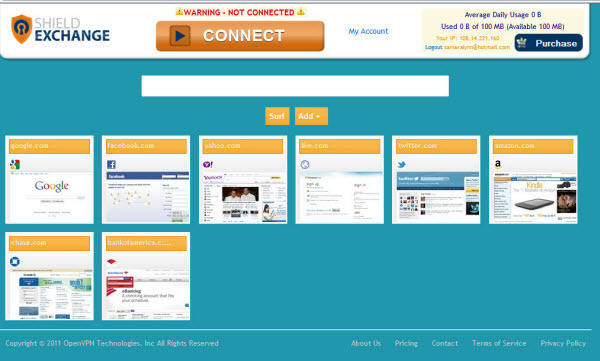 Just register to the site and use the service. It also displays the data usage. Private Tunnel has servers at the US, UK, Amsterdam., Switzerland, and Canada. For starting up, you do not need to bother about the charges but it starts as you exceed using 100 MB of data, pay-as-you-go policy. It has 20.79 Mbps download with 63 ms latency. It is supported on Mac, iOS, Windows, and Android. OkayFreedom is from Steganos and easy to use VPN service that hides your activity from unwanted tracking, secure the transmitted data, and can pretend to use the content from outside of the restricted geographic location. OkayFreedom comes in 3 types : basic, premium and premium “flat”, for every version the security level is same. The service is free till 500 MB uses per month. The drawback is that it has wonky Installation Process. 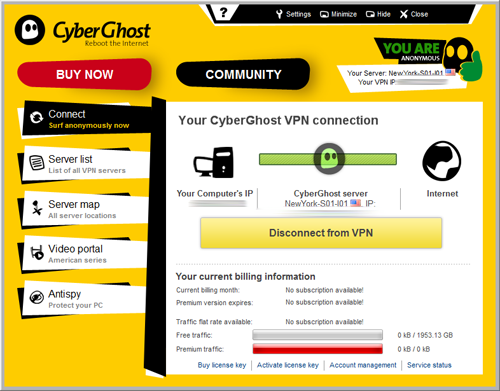 CyberGhost is a VPN service. The free version of VPN service is provided with a huge amount of monthly usages: approximately 1950 GB of monthly traffic with 1 Mbps capping. It has 20.61 Mbps download with 36 ms latency. The CyberGhost client is available on Windows. JustFreeVPN keeps your data encrypted. It is a free VPN service, having VPN servers at UK, Canada, and US. It has 0.72 Mbps download with 113 ms latency.